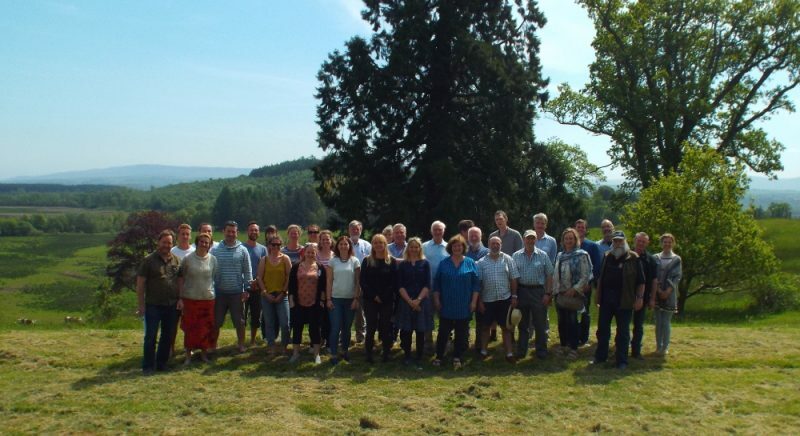 Another fantastic Coastal Communities Workshop has taken place at Gartmore House – thanks to all who made it this time! 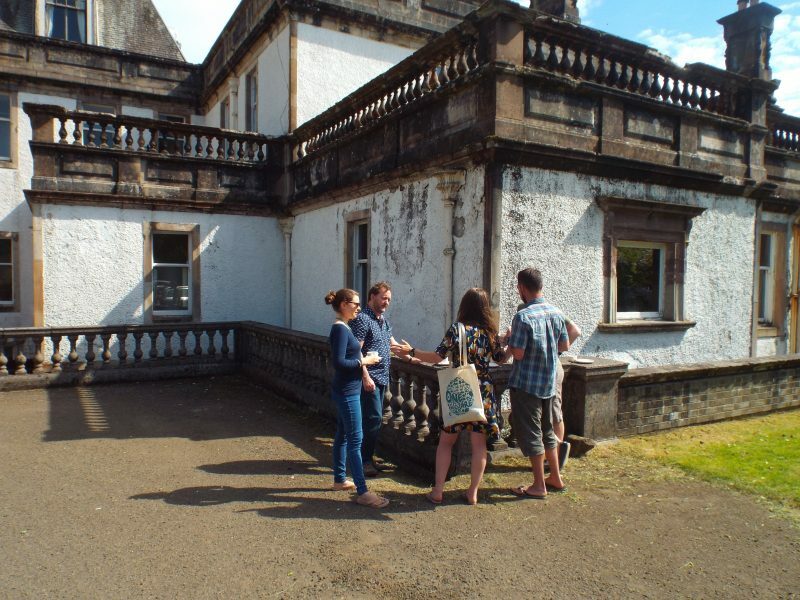 While somewhat crumbling and rough around the edges, Gartmore House is proving a perfect location for this biannual event, which provides an opportunity for coastal community members across the country to meet face-to-face – not always an easy task when you reside in rural Scotland! Gartmore 2 aimed to carry on from the success of the initial gathering in 2016 – the very first time many of the community groups now linked into the Coastal Communities Network came together to discuss priorities and challenges (and affectionately became known thereafter as “Gartmore”). This year, double the amount of coastal community groups were brought together to share knowledge and experiences, and to build collaboration within community-led protection – in fact 11 of the 12 groups linked into the Network, from many locations around Scotland, made it along. They were joined by other interested individuals, associated organisations, supporters, and representatives from Marine Scotland and Scottish Natural Heritage. 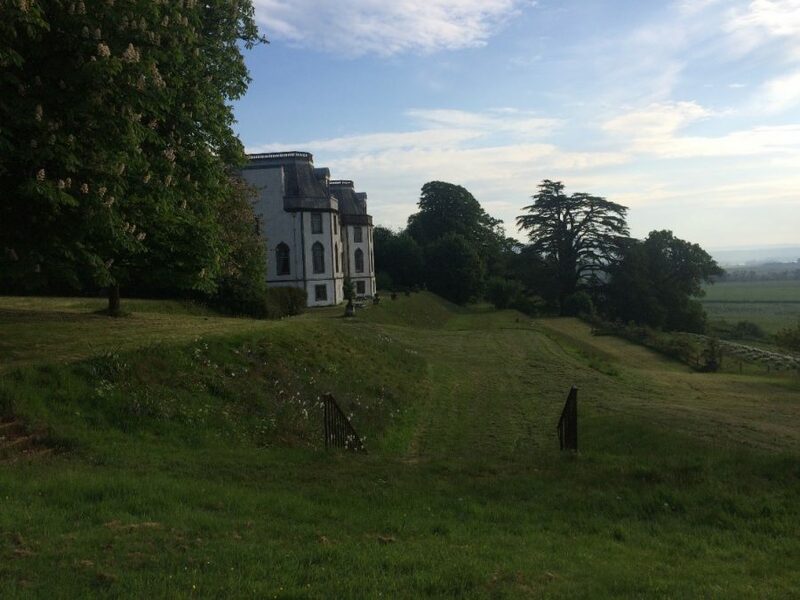 Friday turned warm and sunny, as the delegates arrived at Gartmore Estate to check into their rooms and greet each other. Then the work began for the ‘Friday night experts’ – who led open discussion groups on a variety of topics: Marine Spatial Planning, Marine Protected Areas (MPAs), Aquaculture, Monitoring and Fundraising. This was followed by some much deserved, and equally enjoyable, dinner and drinks in the bar! Saturday morning was devoted to presentations from the community groups themselves. We heard from 11 speakers who introduced their groups, took us through the issues they are currently focused on and explained their group’s overall vision for their local area. We also watched two outstanding short films from communities with local Marine Protected Area designations. The afternoon was spent with sticky notes, pens and flipcharts, to brainstorm ideas for future development of the Coastal Communities Network and current priorities across the groups. Luckily, some of this could take place outside in the glorious sunshine! To round off the afternoon, we heard from Marine Scotland (MS) and Scottish Natural Heritage (SNH) representatives, who provided updates on the Phase 2 MPA management measures and the Priority Marine Features (PMF) review, which will shortly be made available for consultation responses by the Scottish Government. SNH also held an information mini-workshop, to highlight the online resources available for data sharing and gathering. Saturday evening was the highlight of the weekend, with an inspiring presentation from John Aitchison featuring a selection of his breath-taking photography and film from his career as a wildlife film-maker. John took us to remote locations with candid shots of some charismatic species and gave us insight into a life spent in pursuit of wonderful stories. 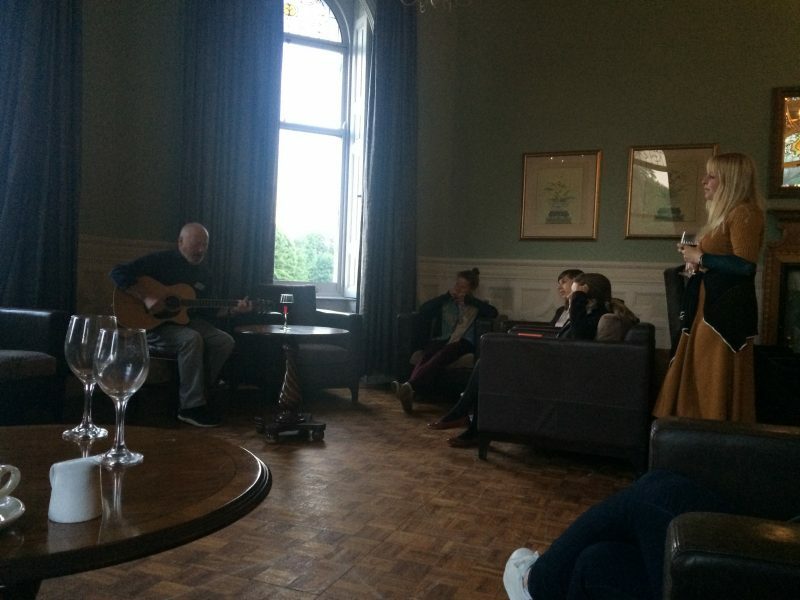 Now that everyone was in a relaxed frame of mind, it would have been a missed opportunity not to move onto a glass of wine and some live music and singing from some musical members of the Network! The sunny weather held and took us into the final day of Gartmore 2, with a morning of talks before the group were homeward bound, travelling the length and breadth of the country. Sunday’s sessions covered a summary of the (many) ideas gathered from the previous day’s break-out work, tips on fundraising for community groups and the obligatory group photo! We ended on a high note, with some inspiring words from Kerri (Fauna & Flora International) and Howard (COAST), on how much has been achieved by coastal communities in Scotland, in their efforts to fulfil the environmental and socio-economic potential of their local areas. As quickly as it had approached, it had gone – and Gartmore 2 now joins Gartmore 1 in history, as a place where people can come together with their peers and build relationships with communities facing similar issues to their own. We know that many of the partnerships and ideas formed over the weekend will endure and be taken forward, as was the case in 2016, and the Coastal Communities Network will continue to discover its shared voice, across Scotland. 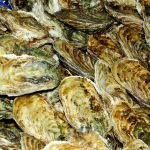 This article was produced by Rebecca Plant, Marine Project Officer at Fauna & Flora International, for the Coastal Communities Network on 08/06/2018.